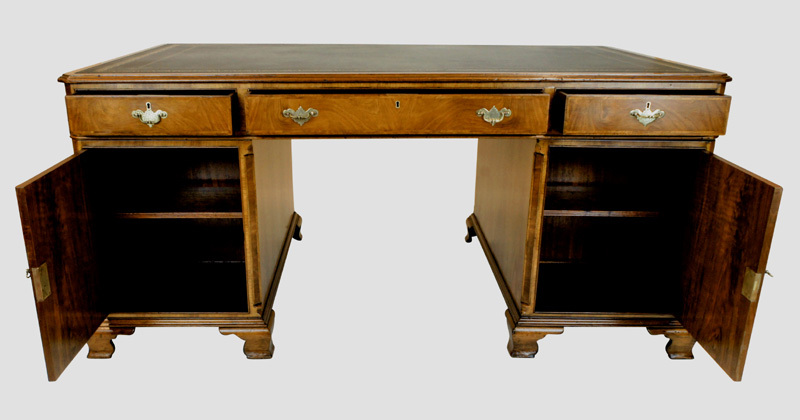 This very beautiful large vintage partners desk was made to a high standard with walnut veneers chosen for their attractive figuring. 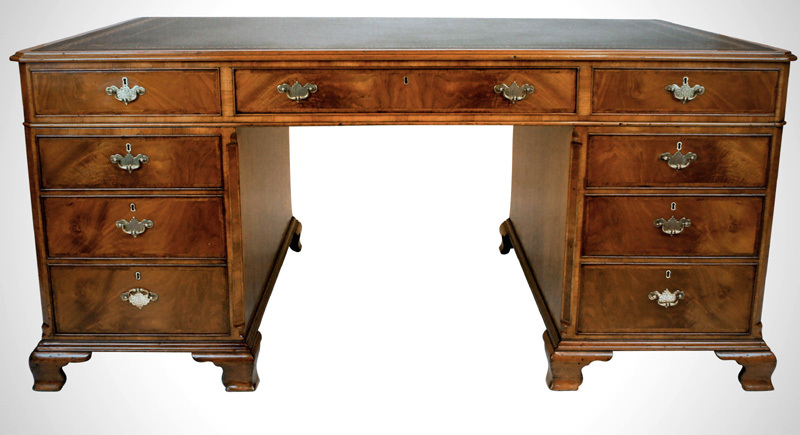 The desk has recently been professionally restored which included traditional french polishing; waxing and a replacement black writing hide with gilt and blind tooling. 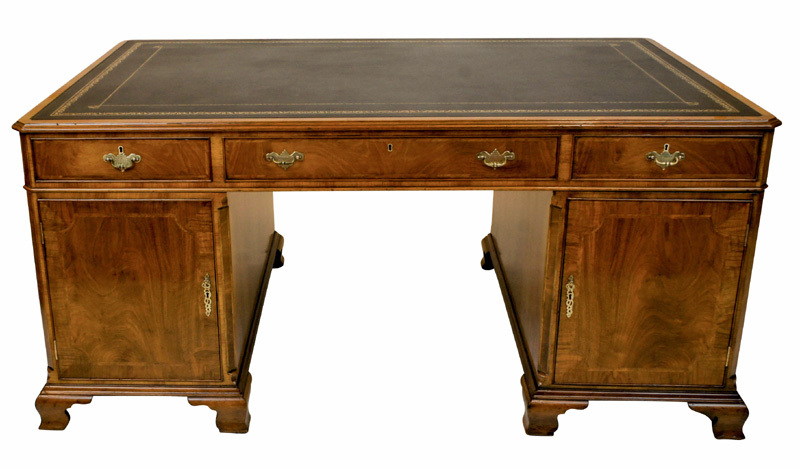 The writing leather is surrounded by bands of well-figured walnut and the top has a moulded edge and cantered corners. 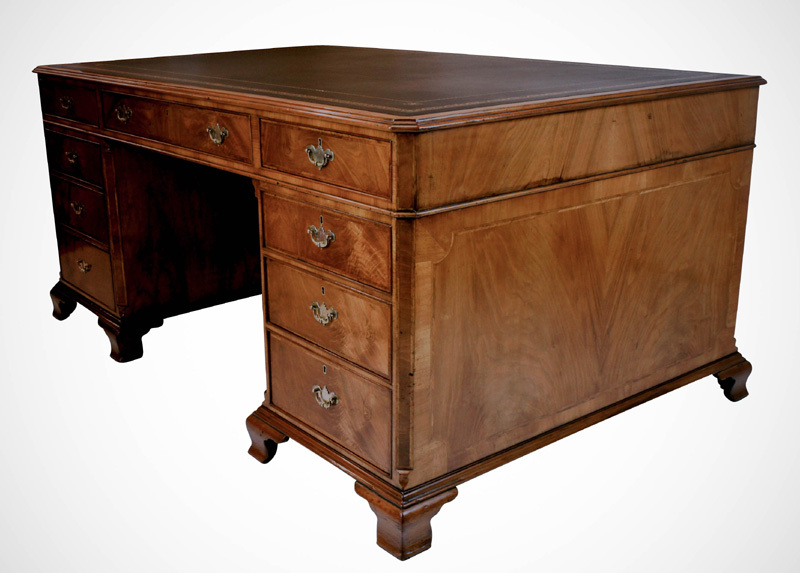 The writing leather is surrounded by bands of well-figured walnut and the top has a moulded edge and cantered corners. The desk is made in three sections; top and two pedestals for ease of installation. mahogany lined and have the original brass locks and key. The fronts of the drawers are feather banded with the original engraved brass handles. The pedestals are fitted with three drawers to the front and cupboards to the reverse and they stand on ogee bracket feet. The external sides and the cupboard doors are cross banded and have feather banding inlay. handsome example with a lovely warm glow to the walnut veneers. We believe this would make a very splendid focal point in any office or study. please contact us quoting reference: SN719.